In early 2016 the World Health Organisation released its first estimate on the number of people who suffer from the herpes simplex virus. 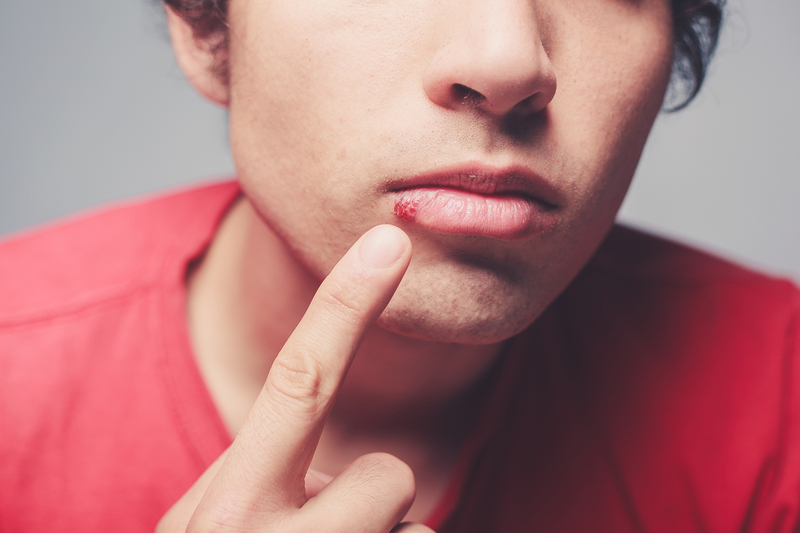 Their figures show that more than two-thirds (3.7 billion people) of the world’s population under the age of 50 have the cold sore causing herpes simplex virus type 1 (HSV-1). Sufferers have traditionally had to use creams or patches to limit the effects after an outbreak and many describe the blisters or sores as highly embarrassing and confidence crushing. At the London Holistic Dental Centre, here in Wimpole Street, we are one of the first dental surgeries in the UK to offer a minimally invasive treatment using a diode laser. This treatment is more common in the United States but has only recently been launched by Dr David Cook, a member of both the American Academy of Cosmetic Dentistry and the British Academy of Cosmetic Dentistry. He is also one of a limited number of European dentists with advanced training and practical experience from the prestigious Las Vegas Institute of Advanced Dentistry. “For my entire adult life I have suffered from a recurring cold sore in the same spot on my lower lip. It normally appeared each winter as the weather changed. However this year, for the first time in my 40 years on this planet, I decided to get a tan in advance of a summer holiday. When I explain I am a fair skinned Irish man it might go some way to making it understandable why I avoid excessive sun. One of the side effects of sunbathing is of course the irritation of a cold sore site. And in the space of three months I had three embarrassing and unsightly episodes. Anyone who suffers knows the sheer frustration of feeling THAT tingle and knowing that wearing a mask for the coming days would be preferable. Over the years I have tried everything including a well-known cold sore cream brand, but nothing worked. I even resorted to the old wives tale of trying aftershave. Alas, my lip smelt better than the fragrance section of Selfridges but it did nothing to stop the onward march of the enflamed beast on my lip. During one of the eruptions I had an appointment with Dr David Cook and upon seeing the cold sore he asked how often I get them and the scale of how they interfere with my lifestyle. He told me about a treatment he could carry out using something he called a ‘Diode Laser’, and if I could get to him next time it tingles, before it breaks through the surface that he could potentially prevent it breaking through. Even more excitingly he told me the treatment could last several years. A few weeks later the stress of an upcoming corporate event which included professional photographs ensured the tingle made an unwelcome appearance. I called the practice and got an appointment that afternoon. It’s honestly the best thing I have ever done! I was in the chair a meagre 15 minutes where he did approximately 8 rounds of the laser at increasing strengths. I felt nothing. The last one was perhaps slightly warm, like having a cup of tea at your lips. And that was it! He told me I’d still feel the tingle at times but the cold sore wouldn’t be able to break through. And true to his word six weeks and a sun holiday later no recurrence. I have indeed felt the tingle where the little blighter wanted to break through but couldn’t. This makes me feel vaguely smug. And the best part, the corporate photos were taken without an extra guest on my lip!